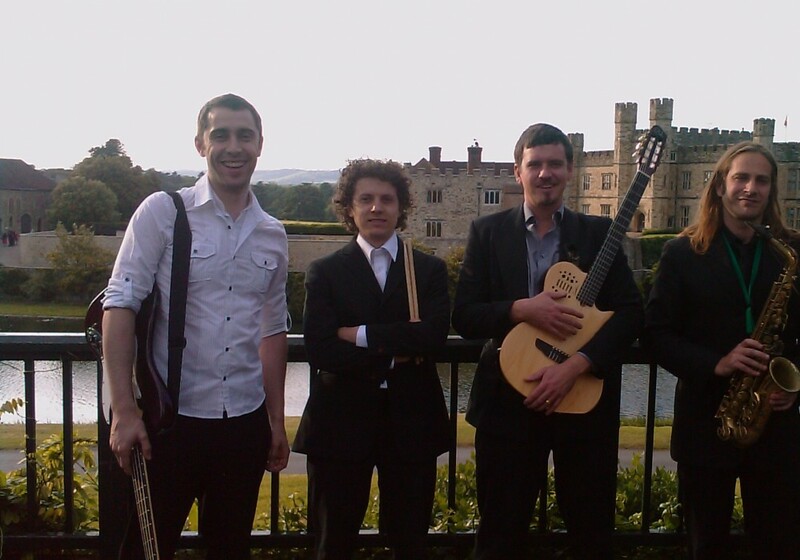 The Riveras are a professional four-piece covers band based in London. They play a variety of soul, jazz and Latin classics. They are smart and punctual, and can provide their own amplification system. All their equipment is PAT tested, and they have Public Liability Insurance. Huw Price is the singer and guitarist. He comes from Wales… He has worked as a resident musician in top London venues such as the Trafalgar Square Hilton, the Dogstar, Gaucho Hampstead, Number Ten Ladbroke Grove, River Lounge, Eight Members Club, La Gondola in Battersea, the Guoman Hotel Tower Bridge, and Revolution in the city. He has also worked as a writer / vocalist with Brit soul band Spengler [Bermuda Triangle Records], whose releases have been played on Choice FM and Kiss and praised as ‘future classics’. David Alvarez is the bassist. He comes from Spain… He has toured Europe as the bassist in the fusion band Kerr as well as playing in numerous other projects. He has composed and recorded music for TV, and is an accomplished sound recordist. Tim Nugent is the drummer. He comes from England… A graduate of London’s Trinity School of Music, he is now an in-demand session musician, playing with countless acts in studio sessions. He also gigs heavily with his own function band and plays in the house band at Greenwich Comedy Club. Max Grunhard is the saxophonist. He comes from Australia… He has been living in London for the past 5 years and has played with some of the best musicians around: Prince, Nostalgia 77, Osibisa, Spanky Wilson and Quantic Soul Orchestra to name but a few. His new album of original jazz compositions’ Vortex’ is out now on Impossible Ark Records. 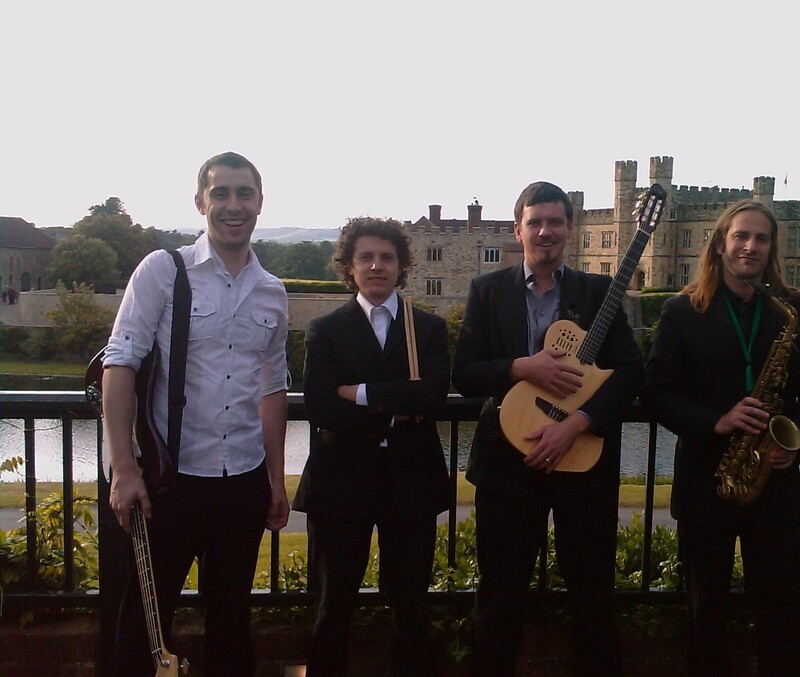 The Riveras can provide live acoustic entertainment at weddings, private parties, corporate events, night clubs, hotels and festivals.